Despite Orange County's reputation for affluence, many cities have a large number of low-income residents. For children living in poverty, dental care is often out of reach. These children are five times more likely to have untreated tooth decay than children from higher income families. This disparity in poor oral health adversely impacts these children’s ability to eat, speak, and learn, further cementing social inequities already stacked against them. In addition, Orange County and California have some of the lowest dental assistance reimbursement rates in the country. Because of this, there is currently only one pediatric dentist per 4,900 eligible children under the age of six, which creates significant barriers for parents searching for a qualifying dentist. 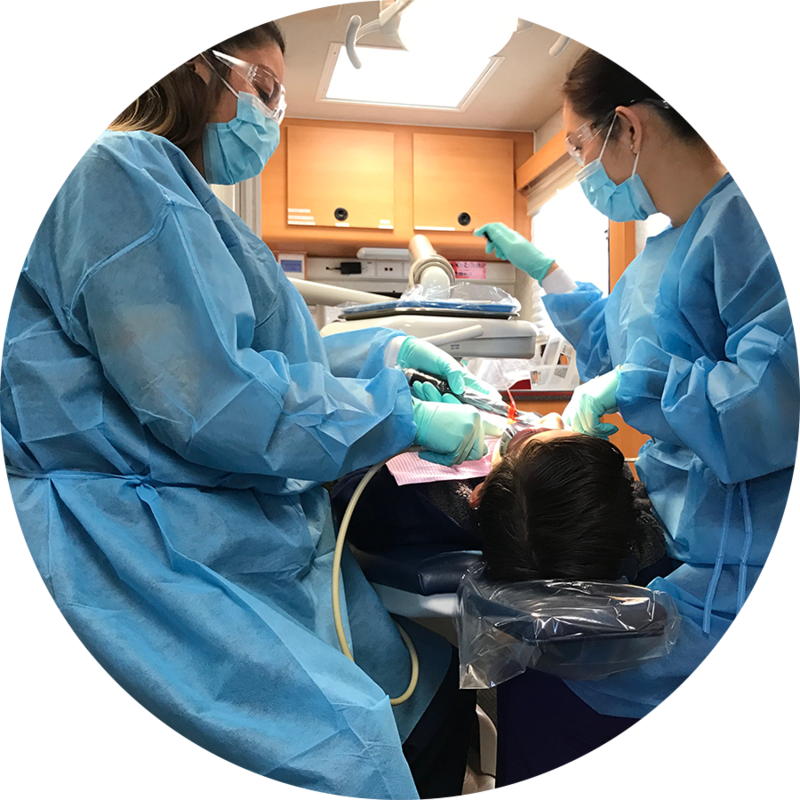 Our Oral Health Zone Program helps to address the specific needs of this region and supports clinics like Healthy Smiles for Kids of Orange County. Their school-based Oral Health Prevention Program takes services straight to the children that need them. Currently operating two Smile Mobile RV clinics, which provide oral health education and preventative treatment year-round to children in low-income schools, Healthy Smiles helps kids like George, an 11-year old who reported that he did not brush his teeth because no one in his family owned a toothbrush. "Since we were able to identify that a lack of education and awareness of proper oral health was the key issue at stake," Healthy Smiles told us, "we engaged his entire family with educational supplies and toothbrushes donated by America’s ToothFairy."